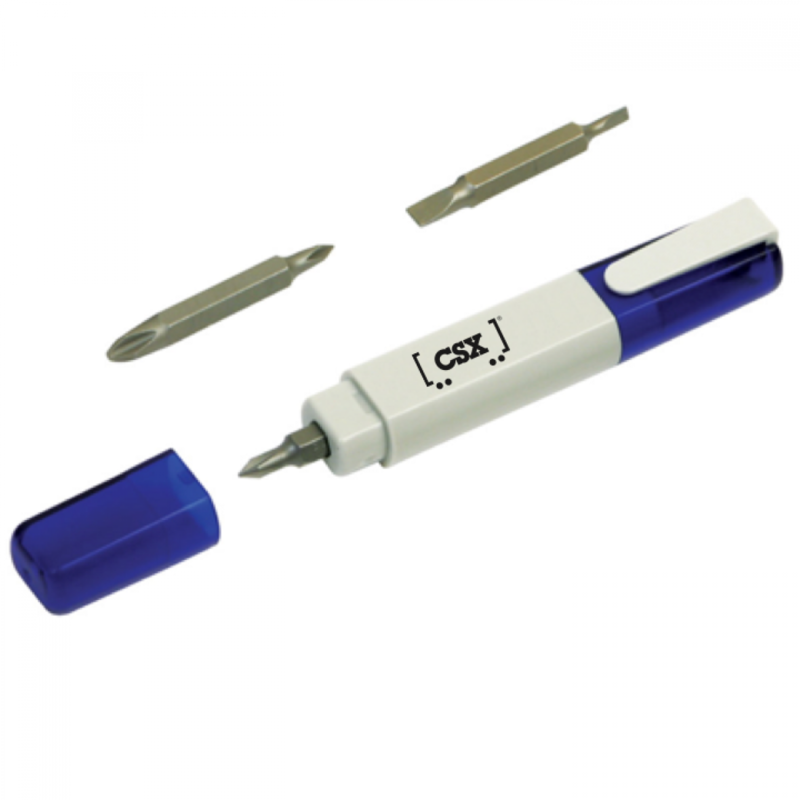 CT2593 - Includes four interchangeable magnetic screw tips, two phillips, two flathead. Includes pocket/belt clip. Tips stay secure with strong magnet. Blue/Gray with black CSX logo.